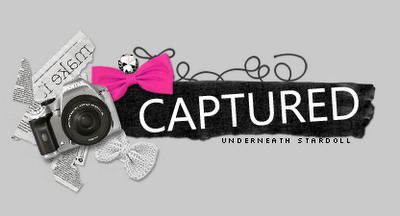 Hello readers it's Amber here again for Mondays captured post. This week I choose an outfit by Alannah-Mg. I've been considering using her doll for a while now because I think she has always had one of the most unusual medolls on stardoll and when I saw her qualify for the semi-finals in MSW for Ireland with this outfit on I just knew now was the time. Straight away I know this will be a like it or hate it outfit because this kind of medoll and style is either your taste or it’s not. I love it because it’s very striking, extravagant and well pieced together. I do think that the outfit doesn't do her medoll justice it kind of covers the hair a bit. But I just love that she doesn't look the same as every other generic looking doll on stardoll. Even if you hate this kind of style you can still appreciate her individuality and the time and effort put into the dress. Jpstar135, This outfit is really pretty!! I have heard of this person before, but her outfits are usually very creative and out-there. I like the bottom part of the dress with the feather like thing and the beads. It's a very pretty dress. I love the hair by the way! Great Job!! Anastasiarts, That's your first outfit so far that I'm not really keen on. I like the shoes very much but I believe the rest is too much especially all these diamonds on the dress. I appreciate that she made it herself but I don't like it that much... The hair and the flower on her head don't match with the rest of the outfit too, in my opinion.